New Bludd is an iron tonic for healthy athletic blood levels when you feel your horse is lacking stamina. 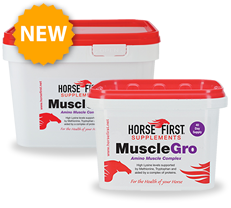 The supplement contains high levels of Iron which has been formulated to enable your horse to properly absorb and utilise the iron, which increases performance, health, vigour and strength. New Bludd when fed along with our Back To Form supplement offers a complete boost which delivers fantastic results restoring a horse back to its full vigour. A liquid iron tonic formulated to boost your horse's blood levels. Helps with the healing process. For overall health and wellbeing. "Feed a course of Cuppra along with New Bludd to increase your horse's uptake of iron." Add 30ml to feed daily for 30 days. Maintenance: Add 60ml to feed twice a week.